Looking for a nearshore service provider? Look no further than Uruguay! Urugwhey, Urugwhyy, Uruguay? However you think it’s pronounced, this little country is the best destination for your nearshore IT outsourcing needs. Located just south of Brazil and east of Argentina along the Atlantic coast of South America, Uruguay boasts 3 million warm and friendly people (and ONLY about 12 million cows). Roughly the size of Missouri, Uruguay is surprisingly adept at all things software. Here’s a quick debrief of Uruguay and why you should look into it as a nearshore outsourcing destination. After reading it, you’ll know more about this up-and-coming country than 90% of your colleagues! With over $600 million in exports to over 50 countries per year, Uruguay is the #1 software exporter per capita in Latin America (LATAM). Uruguay has great incentive to do so, as software exports are not subject to profit tax. According to CUTI, there are 700 IT companies in Uruguay and a recent Harvard study declared it as one of the most advanced software development centers in Latin America. This country prides itself on effective and affordable public health care, mild weather year round, and lax immigration rules. 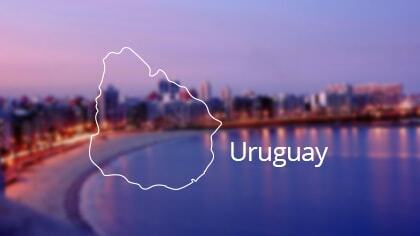 Uruguay ranked #3 in the Human Development Index in LATAM according to the UN Development Program in 2013. The population has easy access to free education and income levels are distributed very well (.38 on the Gini Index 2013). 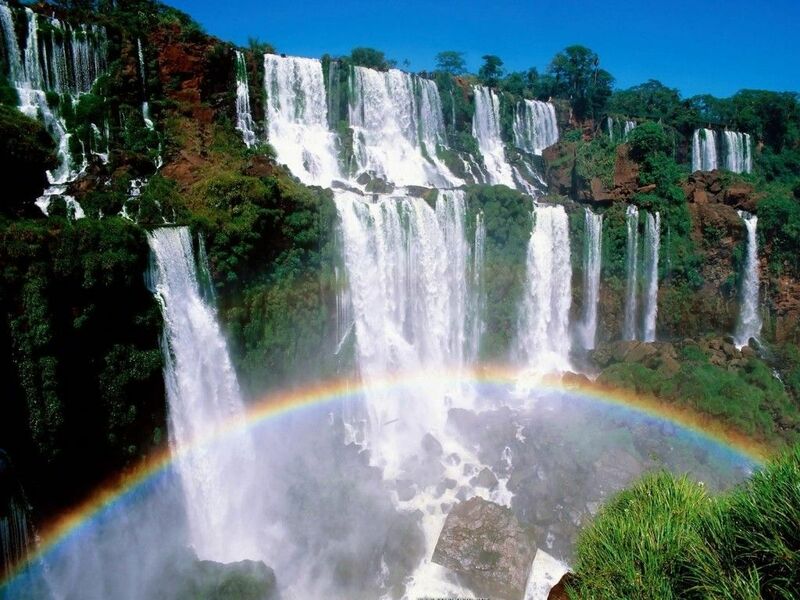 Uruguayans enjoy a 120-mile long Atlantic coastline, beautiful grasslands, and are close to one of the greatest wonders of the world, the magnificent Iguazu Falls. You can feel good knowing that the people you partner with live in a near-paradise. 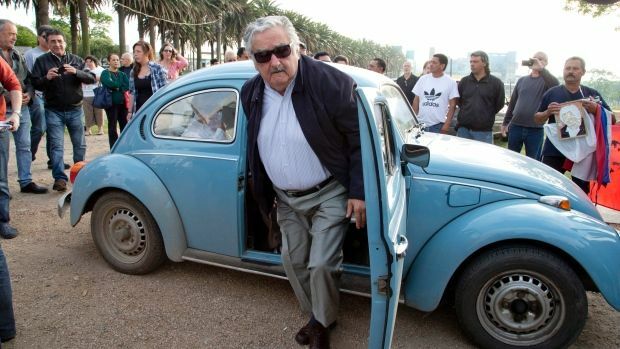 Uruguay is also in good hands. Former President Mujica (2010-2015), chose to forgo living in the presidential palace, kept a humble wardrobe, and donated almost 90% of his salary to charity simply because he “didn’t need it.” His little ‘87 blue VW bug is famous around the world, which he drove himself to work in every day. You can expect plenty of stability when working with an Uruguayan company. There are no threats of financial crisis or social unrest, so Uruguayans can be fully dedicated to their profession. Uruguayans are now more connected than ever. No need to worry about having communication problems with Uruguay when communicating via Skype or Google Chat. According to the Ministry of Education and Culture 2012 UDELAR census, 75% of university students read English and 55% speak it (this is largely due to the fact that most technical textbooks are written in… you guessed it! English). Education rates are high due to the free universal public degree courses offered to its citizens. It became the first country in the world to provide a free laptop to all public school students and teachers. This means the youngest generation is the most tech-savvy that Latin America has ever seen! At Abstracta, we have many engineers who have graduate degrees in their field and are proficient, if not fluent, in English. 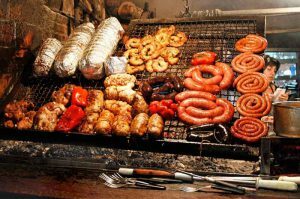 Picture the typical Uruguayan. Would you be surprised to know they are nearly all descendants of Spanish and Italian immigrants? Uruguay also has received much cultural influence from the U.S. Uruguayans love to host barbecues where they eat their asado (steak) and don’t get them started on soccer, aka fútbol! Due to the similarities, there are less cultural misunderstandings when working with Uruguayans than service providers from other continents such as Asia. Aligned with the East coast of the United States, Uruguay is in the perfect spot to communicate with US clients as well as those in the UK and Western Europe. When you hire an Uruguayan company, there’s no need to worry about whether they are asleep when you come into serious problems that need to be fixed ASAP! Working with Uruguay means real-time communication. No need to stay up late or wake up extremely early to work with an offshore team. According to the Central Bank of Uruguay, the country received $2.796 billion in Foreign Direct Investment in 2013 and 63% of those profits were reinvested in the country, meaning that investors have a good feeling about this place! Some companies that have already set up offices or partnerships in Uruguay include Kraft, Verifone, IBM, PepsiCo, Sabre Holdings, Four Seasons, and more. Uruguay also has some impressive clients on the books: BBVA, Barnes and Noble, Toyota, Warner Music Group, Viacom, DHL, HBO Latin America Group, etc. #9 Uruguay Has a Super-Drink Secretly Powering All of its Activity… MATE! It is said that mate has the strength of coffee, health benefits of tea, and the euphoria of chocolate (if you get past the bitterness, that is!). Pronounced, mah-tay, it’s the backbone of all the society’s interactions and productivity. If you visit Uruguay and go “loco” because you can’t find a Starbucks, this is why. 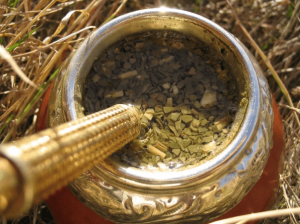 It’s prepared by steeping the leaves and stems of the yerba mate plant in hot water and sipped out of a calabash gourd through a metal straw called a “bombilla.” This super-drink has 24 vitamins and minerals and 15 amino acids (one could practically survive off this drink alone)! At Abstracta, it is hard to find space in the kitchen in the morning as everyone is preparing his or her mate. You can feel good knowing that no one is falling asleep on the job… as long as there’s mate. Abstracta is a world leader in quality assurance and testing focused on improving the performance of software applications. With offices in Uruguay and Silicon Valley, Abstracta has over 50 years of combined expertise working not only with leading-edge proprietary and open source testing tools, but developing specialized tools for financial, retail and technology including companies such as BBVA financial group, Verifone, and Shutterfly. Ready to outsource your testing? Contact us today!